Falmouth Yachtsmen Varsity stayed in it until the end, but South Portland pulled away late in a 4-2 victory on Wednesday. The game was tied at two with South Portland batting in the top of the sixth when Hunter Owen's sac fly scored one run for South Portland. 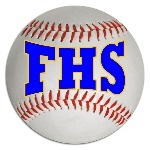 Falmouth Yachtsmen Varsity lost despite out-hitting South Portland eight to four. South Portland got things moving in the second inning. Khem Johnston singled on a 1-1 count, scoring one run. Falmouth Yachtsmen Varsity knotted the game up at two in the bottom of the fourth inning, when Marcus Cady singled on a 0-1 count, scoring one run. Noah Lewis pitched South Portland to victory. He allowed eight hits and two runs over six innings, striking out four and walking one. Riley Hasson threw one inning in relief out of the bullpen. Hasson recorded the last three outs to earn the save for South Portland. Garrett Tracy took the loss for Falmouth Yachtsmen Varsity. He surrendered three runs on four hits over six innings, striking out four. Falmouth Yachtsmen Varsity racked up eight hits in the game. Cady and Sam Kidder all had multiple hits for Falmouth Yachtsmen Varsity. Cady led Falmouth Yachtsmen Varsity with three hits in three at bats. South Portland stole six bases during the game as two players stole more than one. Caden Horton led the way with two. South Portland was sure-handed and didn't commit a single error. Jake Poole made the most plays with seven.